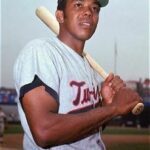 Sports Then and Now | 2011 American League Preview: Is the East Still the Beast? 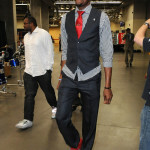 2011 American League Preview: Is the East Still the Beast? 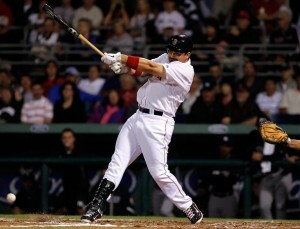 The addition of Adrian Gonzalez should help lift the Sox back to the top of the AL East in 2011. The question in the American League is whether the usually dominant East Division will regain the form that saw teams from that division make five of seven World Series between appearances by squads from the West. 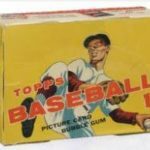 While the Boston Red Sox, who failed to make the playoffs in 2010, made serious moves to regain playoff form, the other two powerhouses in the division, the New York Yankees and Tampa Bay Rays, did not make the same player gains. With the Chicago White Sox, Minnesota Twins, Detroit Tigers and Texas Rangers all seemingly positioned to make a run at the playoffs, the wild card team in the AL could come from a division other than the AL East for the first time since 2006 and only the second time since 2002. The conventional wisdom is that the AL East is a three-team race, but both the Baltimore Orioles and Toronto Blue Jays are better than many teams that will be contenders in other divisions. The Tampa Bay Rays won the division a year ago, but lost a number of important components in Carl Crawford and Carlos Pena and Jason Bartlett. To replace the offensive losses, the Rays have brought in former superstars Johnny Damon and Manny Ramirez. Though both players are on the down sides of their careers, they should at least provide some production to offset the losses. The strength for the Rays will remain their pitching staff, with David Price and James Shields leading a unit that ranked second in the American League with a 3.78 ERA in 2010. After reaching the AL Championship Series a year ago, the New York Yankees made relatively few changes to their lineup as catcher Russell Martin will likely be the only new addition to the opening day lineup. While in general the Yankees still have one of the most explosive lineups in the game, the age of veterans Jorge Posada, Derek Jeter and Alex Rodriguez has to be of concern as the Yankees move into 2011. The biggest question for the Yankees is in the pitching staff where ace C.C. Sabathia is the only reliable starter. Phil Hughes and A.J. Burnett must improve their consistency while the Yankees are also relying on unproven Ivan Nova and a trio of former major league aces to fill the void left by the retirement of Andy Pettitte. While the Yankees and Rays were adding past-their-prime players to the lineup, the Boston Red Sox made major inroads with the addition of slugging first baseman Adrian Gonzalez and speedy outfielder Carl Crawford. If their returning stars, including Justin Pedroia, Jacob Ellsbury and Kevin Youkilis, are able to return from injuries, the Red Sox should have the most powerful offense in the division. They are also counting on a return to form by one-time ace Josh Beckett. 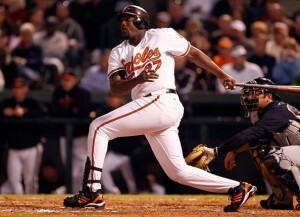 Vladimir Guerrero gives the Orioles an explosive bat in the middle of the lineup. If the Baltimore Orioles play at the same pace in 2011 as they did after Buck Showalter became manager in August, then the O’s could be the surprise team of 2011. For that to happen, the young crop of starting pitchers will have to display a consistency beyond their years. Having second baseman Brian Roberts healthy for the full season will be important to the offense as he is the leading table setter for an offensive unit that now includes Vladimir Guerrero, Mark Reynolds and Derrek Lee. Though they return many of the key components from a squad that won 85 games a year ago, the Toronto Blue Jays seem to have little chance of competing in the toughest division in baseball. After hitting a league leading 257 home runs a year ago, the Blue Jays will look for another big year from Jose Bautista, Adam Lind and Aaron Hill. The pitching staff is led by Ricky Romero and also includes youngsters Kyle Drabek and Brett Cecil. 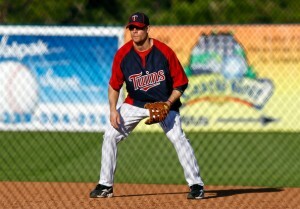 The Twins are glad to have Justin Morneau back on the field and look for a quick return to form. The Minnesota Twins won the AL Central title last season despite playing the entire season without closer Joe Nathan and with slugging first baseman Justin Morneau missing the entire second half of the season. Joe Mauer, Jason Kubel and Delmon Young picked up the slack offensively once Morneau went down. Carl Pavano and Francisco Liriano are the leaders of a solid pitching staff that ranked fourth in the league in ERA a year ago. The Chicago White Sox won 88 games in 2010 and then went out and made a big offseason splash resigning slugger Paul Konerko and signing another slugger in Adam Dunn. One key for the White Sox will be whether third baseman Brent Morel can emerge as an everyday player after getting a taste late in 2010. The pitching staff has the potential to be great if Jake Peavy is able to overcome shoulder concerns and give the team a full season. After finishing at .500 a year ago, the Detroit Tigers will look to contend in a challenging division. Training camp started with the distraction of slugger Miguel Cabrera’s off-field issues. However, if he is able to perform at his previous level and young centerfielder Austin Jackson continues his ascent the Tigers could be a sleeper. Pitching ace Justin Verlander is among the best hurlers in baseball and leads a solid staff that now includes veteran Brad Penny. The Cleveland Indians have now been in their rebuilding mode for the better part of a decade and show little signs of reaching the level of their top three division foes. The Indians have a plethora of young players in their lineup, but if they are to take a step toward contending the youngsters must show greater improvement in 2011 than a year ago. 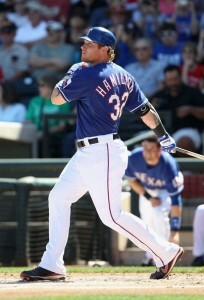 The top player a year ago was Shin-Soo Choo, but other must emerge in 2011. Starting pitcher Fausto Carmona is a solid staff ace, but the remainder of the rotation must make significant improvements. After trading their best pitcher in Zach Greinke and top position player in Yuniesky Betancourt, the Royals appear destined for their 16th losing campaign in the last 17 seasons. After having four starters over the age of 30 a year ago, the Royals seem prepared to give more of their younger players a chance to establish themselves in 2011. If they are to eventually break the cycle of losing, they must develop these young players from within and then eventually be able to fend off efforts by higher payroll teams to take them away just as they hit their prime. The top youngster is first baseman Billy Butler, who hit .318 with 78 RBI last season, but unless something changes in the structure of baseball it will just be a matter of time before he is wearing a different uniform. The Texas Rangers made a magical run to the World Series a year ago, but it will be very difficult to repeat that success. In addition to losing pitching ace Cliff Lee, the Rangers also must replace the offensive production of veteran Vladimir Guerrero. The Rangers hope the addition of Adrian Beltre will fill the void left by Guerrero, but Beltre’s history is to underperform after receiving a big contract, so they better hope he has different results this time around. The Rangers also are looking for continued production from outfielders Josh Hamilton and Nelson Cruz and a breakout campaign from centerfielder Julio Borbon. The pitching staff still has quality starters with C.J. Wilson leading the staff. After finishing with a losing record for the first time since 2003, the Los Angeles Angels of Anaheim will look to bounce back in 2011. The conventional expectation is that last season was just a hiccup and the Angels will be back. As in the past, the Angels have brought in veterans capable of lifting the overall team performance, but the mixture of veterans and young players must gel if the Angels are to return to the top of the division. Jered Weaver had a solid season on the mound, but he hasn’t yet proven that he can be a long-term pitching ace. The addition of Dan Haren should help the staff, but he took a step backwards a year ago, so must have a return to form if he is to help the Angels. A healthy Kendry Morales will be a key for the Angels, as will be the continued development of Howie Kendrick and Erick Aybar. Led by a talented young pitching staff the Oakland A’s look poised to make a run at the AL West in 2011. Staff ace Trevor Cahill quietly performed near a Cy Young level a year ago and will be looked to for a similar campaign in 2011. Gio Gonzalez and Dallas Braden give the A’s three high level starters. The addition of veteran Hideki Matsui adds pop to the lineup and should help support youngsters Kevin Kouzmanoff, Kurt Suzuki and Daric Barton. A year ago there was great anticipation in Seattle. However, following a dismal campaign in which they lost an AL worst 101 games, the Mariners are back at the drawing board trying to redirect a once proud franchise. The anchor for the Mariners over the last decade has been Ichiro Suzuki, but the now 37-year-old scored a career-low 74 runs in 2010 while striking out a career-high 86 times. 25-year-old staff ace Felix Hernandez won the Cy Young Award last season despite barely finishing with a winning record. If the Mariners continue to flounder you have to wonder how long it will be before Hernandez is ready for a change of scenery.